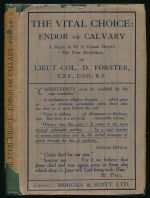 vital choice : Endor or Calvary : reply to Sir A. Conan Doyle's "The new revelation"
The vital choice : Endor or Calvary : reply to Sir A. Conan Doyle's "The new revelation"
A response to Doyle's writings on spiritualism and Christianity. 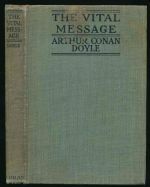 An account of Doyle's spiritualist beliefs and their promotion. 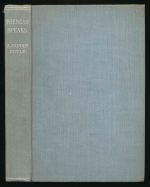 The second issue incorporates a new appendix of four pages. 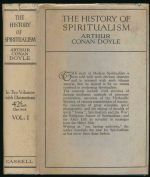 A speech made by Doyle to the London Spiritualist Alliance in 1917. Limited edition of 400. 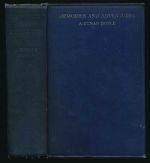 An analysis of the relationship between the religious and scientific perspectives on psychicism and spiritualism. 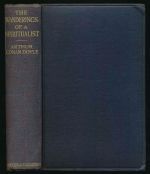 The first of two volumes on the origins and development of the spiritualist movement. 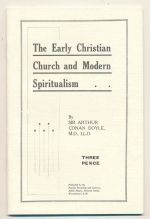 Doyle, Arthur Conan Homer, Michael W.
In this pamphlet Doyle argued that spiritualism was compatible with the practices of the primitive Christian Church. Limited edition of 400. A compilation of messages received by the Doyle family from the spirit world. 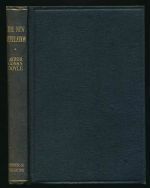 An autobiographical work with an expanded chapter on spiritualism. 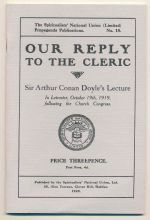 Doyle's reply to criticisms of spiritualism made by the Church Congress of 1919. Limited edition of 400. 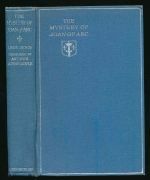 An account of the life of Joan of Arc, including her psychic powers. 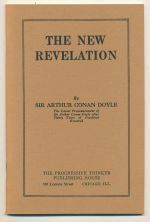 Translated, and with a preface, by Doyle.